… And that is exactly what I had the privilege of doing when I met the poet-in-waiting and his marketing guru in a wooden cafe by the sea. For 90 minutes, they listened to me talking about writing. The excitement! The ego boost! The marketing guru had picked up my card when I took a stand at a bank and attempted to lure people over to it with cupcakes. 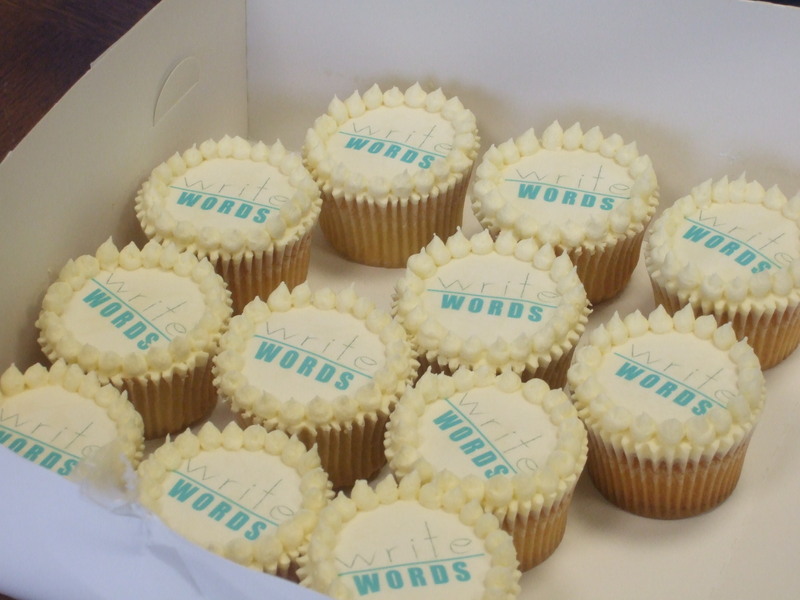 I had come away feeling the cupcakes and banks don’t mix, so I was delighted to realise my ploy had worked. She was representing a poet who had three collections of poems waiting to be published. The poet is now at the point where he’s dying to show his work to the world and the marketing guru wanted to help him realise his publishing dreams. While I’m not a poet, I do know about publishing – and I know quite a few poets. So I agreed to meet them. The central issue to be settled was whether to choose a traditional publisher or to self publish. The poet was pretty clued in on the main poetry publishing houses in the country, but he was also in a hurry, so although the jury is still out, I reckon he’ll choose self publishing. I recommended choosing a local printer with experience in printing small books. I said that these days, publishing was a costly process and some poetry presses required their authors to obtain funding from local county councils. I also pointed them towards the Title by Title publishing scheme, which helps self publishers and publishing companies bring out titles. If they choose self publishing, they’ll need the book to be as professional in design and content as possible. I recommended they find an editor and a book-cover designer to help them produce the book. Though this involves an investment, the investment will be worth it. The poet was keen to perform his work, and to hear others perform it. He wondered about organising open-mic nights for poets. I suggested a local arty/scruffy bar which would be ideal. I had to break it to him that regardless of the publishing route he chose, the book was likely to take longer than he thought. so creating a marketing campaign to whet people’s appetite for the book would be a good way to make use of the time. I was highly flattered when the poet said he was blown away by the information I gave him (I blabbed so much my coffee nearly went cold!). I just relish the opportunity to share my passion, and whatever knowledge I’ve gathered. I didn’t pull any punches about the hazards of publishing. But I told him it’s always worth publishing, so your work can see the light of day. There comes a time in your writing life when you need to show your work to the world, and with over 200 finished poems, my poet friend has reached that point. 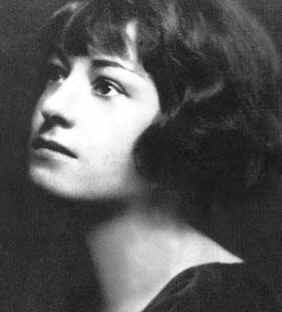 Last Thursday was Dorothy Parker Day, a day to celebrate the American poet famous for her wisecracks and her gin habit. Ian O’Doherty, the professional ranter who writes for the Irish Independent, quipped that if you were to spend a day as Dorothy Parker did, you’d drink your body weight in gin at the Algonquin Hotel in Cork, make cleverly cutting remarks about your fellow human beings. The piece triggered off that wistfulness I sometimes get when I think about writers in earlier eras: the lost generation of American writers, rabble rousing in Parisian cafes, the long liquid lunches enjoyed by Irish journalists in the 1960s, the torrid affairs of the great 20th century writers like WB Yeats, Virginia Woolf and Simone de Beauvoir. If I were a writer at any time up to the dawn of the World Wide Web. I’d have been given one to one personal attention from my editor, with decadent lunches along the way. My publisher would bear the burden of producing and publicising the book, leaving me free to get on with producing my masterpieces. If I were scheduled to talk to newspapers or radio stations, I’d turn up hours late, slightly drunk. I would be obtuse in my answers, or say outrageous, potentially libellous things. The interviewer would be in no doubt as to my views on the state of the world, even if they were not entirely PC. Later on, I’d go to a writing cafe and fillet my fellow writers, my publishers and the interviewer. My views would be extremely uncharitable, but they would be couched in the most elegant language. These days, writing is more and more of a business. When the story is written, writers are expected to be entrepreneurs, with a product to sell. 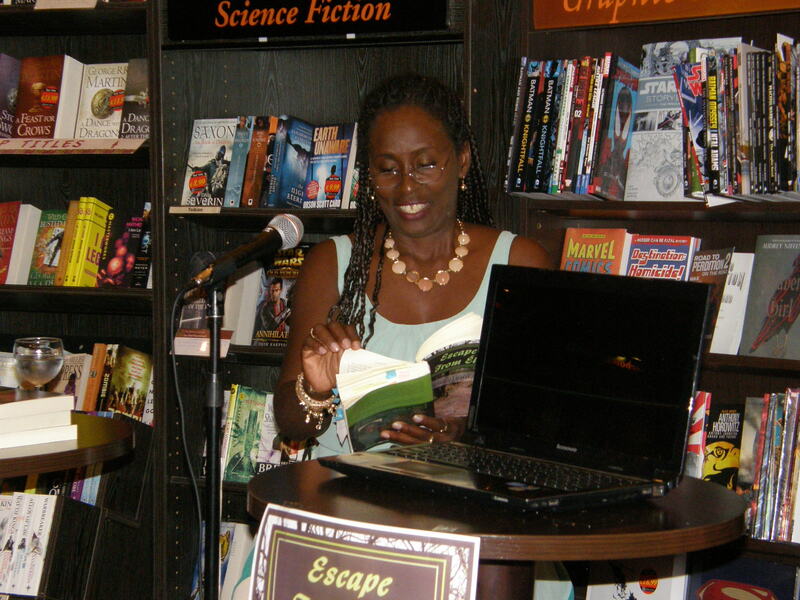 When my first book, The Pink Cage, came out, I didn’t meet anyone from the publishing company until the launch. My book was given a proofread rather than an in-depth edit. 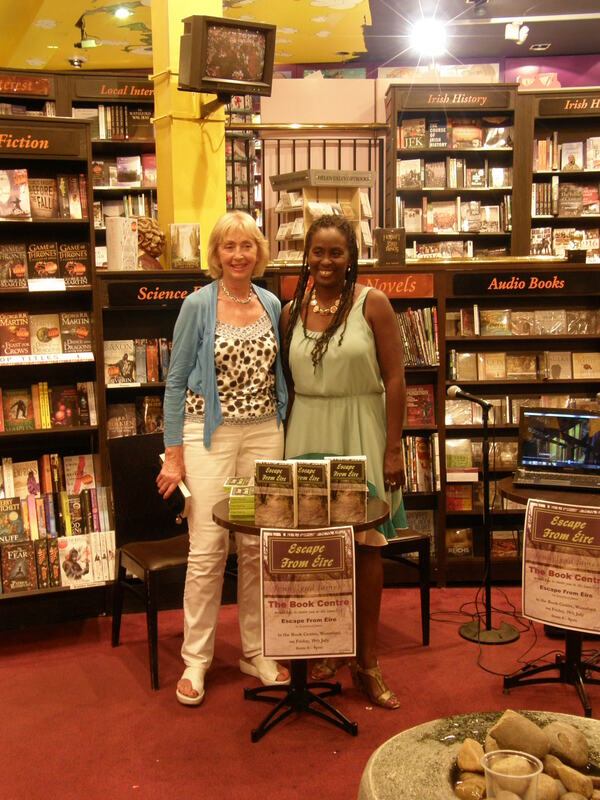 The book launch was a hooley, but most of my contact with readers and the media has been online. Technology has been my ally in selling the books, but it has made the publishing and sales process cold and clinical. I’m more media savvy than writers of the past have been, and I know that what I say will have an impact on how readers view me and my book. I’ve allowed the odd naughty remark to sneak through, but mostly, I’ve behaved professionally. That’s because these days, writers are expected to be entrepreneurs, with a product to sell. This is no bad thing; it makes us less precious about ourselves. But it means that interviews with writers have become sanitised. For me, that’s exemplified in a picture I saw a few years ago of a gathering of writers, all of whom were holding cups of tea. Is it Better to Be a Writer Now? I know it’s not desirable to burn out in your prime as a result of a pickled liver, black demons or foul play. I would hate to be rude to interviewers, keep them waiting or let them down. Nor would I give out about my felllow writers; I share their struggles. I wouldn’t have the stamina for the wild bohemian lifestyles writers enjoyed. I’m aware that my view of the literary past is highly idealised. After all, writers now have more power than ever before over their books: how they are produced and how they are sold. I love the fact that the Internet has democratised writing, allowing writers to find publishing outlets more easily and make personal connections with their readers. readers. I think it’s healthy that writers are climbing down from their ivory towers and removing the mystique from the craft. Yet a part of me yearns for an earlier time, when writers were allowed to be artists, and they were allowed to be crazy. A few weeks ago a friend called for tea. As I poured the tea from my farmyard-themed teapot, she told me that she was going to be laid up after surgery and rather than drive herself mad, she asked me if I would give her an online version of one of my creative writing courses. Deeply flattered, I agreed. It was one of those little ideas I had tucked into a dusty file at the back of my mind. Now the time had arrived to bring it into the light of day. This online creative writing course is almost identical to my ‘real world’ creative writing courses. Only the manner of delivery is different. It’s an ideal option for people who aren’t able to attend a course for various reasons (time commitments, illness, or just plain shyness). Like my real world creative writing courses, this is a six week course. The first week is a warm up week, with exercises designed to break the ice and help people tap into their imaginations. The next four weeks cover different writing techniques: character, plot, setting and the senses. In the final week, I send a template for a story, with different activities to help people come up with the ingredients for that story. I then give feedback on the story and some information about writing resources, so they can decide what steps to take next. Each week, I send the exercises as an email attachment, which I grandly call packages. Each package contain notes based on the theme of the week, then three or four exercises and some reading suggestions. I explain the reason why I’m giving this exercise, the skill it will teach and how to do it, and a suggested timeframe for the exercise. Most of them are quite short. The reading suggestion is optional, but relates to the theme of the week. We choose a day to begin the course and the packages will be sent out on that day. People then write their answers by return of email. I don’t insist on deadlines, but I recommend that people do the exercises before I send the next package. I’ll send out the six packages over six weeks, but the person can finish at their own pace. I will give a comment on each exercise, usually praise, but also techniques about tips you can use for further exercises. For the final story, the person will get a more detailed critique, focusing on their strengths, but also areas where they can improve. Both my online and offline courses are aimed at people who have never written before and people who have started to write, but are stuck. My friend signed up for the course for complete beginners, but I can also deliver a course that teaches more advanced techniques like point of view and character status. For their final assignment, students can send me a piece of writing they’ve been working on and they’ll get a critique. Because it’s an online course, it can be tailored to suit your needs, so if you’re more interested in writing personal essays or memoir, I can tweak the exercises to fit those writing mediums. Now I’ve done the online course for my friend, I’ve developed a taste for more. If you’re in the lucky position of having a book to publicise, whether self published or under the umbrella of a mainstream publisher, your readers will want to know who you are. They’ll be more interested in your story than in the story of your book. But by telling your story, you’ll see more books. That’s why it’s worth investing time in creating a bio for yourself. At this moment, the thought is probably making you cringe. ‘I haven’t done anything,’ you think. ‘I don’t want to be boasting.’ You’re not. You have a story to tell, but it can be hard to get that outside perspective on your own life to help you to tell us. When I’m writing bios for people, I fall back on my journalism training and use the 5 Ws of journalism, Who, What, When, Where and Why. And I add a H for How. Here’s how you can adapt it for yourself. Simon Sinek, in his book Start with Why, says that knowing the reason for what you do is the cornerstone of success. Everything you do springs from that question. Your why is your reason for being a reader. It’s the spark that inspires you to write. Ask yourself why you write, why writing is so important to you. This is the nuts and bolts question, where you identify what you do. It’s the question that shows what you did to act on your why. Ask yourself what led to this particular book and what it’s about. These questions go hand in hand. They’re essential questions because they help people to find you. You tell them where they can buy your book and when it will be released. When you hold your launch and signings, tell them when and where they’re on. If you don’t answer these questions, you’ll have no audience. This is the question that helps you identify your audience. Who do you see reading your book? Picture your typical reader in your mind. When you’ve done this, you can find out what media they use and market your book to them there. This is the question that interviewers will most often ask you: How do you write? Readers will be fascinated to gain an insight into your writing process; they’ll feel they’re being let on a secret. They will also want to know how much your book is, so they can decide to invest. If you’d like help with your bio, give me a mail on derbhile@writewordseditorial.ie. Editing can be a heap of fun when the material is interesting enough. That’s what I found when I edited Escape from Eire, Jennylynd James’s memoir of her adventures during her seven year stay in Ireland. During that time, the Trinidad native saw more of the country than most Irish people do and got under the skin of Irish society. Her insights are honest, humorous and full of entertainment. I sat down with Jennylynd and chatted to her about her new career direction and the challenges of writing a memoir. 1. What made you decide to turn your hand to writing, given that you’ve had such a varied career to date? The stories and adventures of my life in Ireland kept following me and haunting me. I felt I had to get these stories down on paper. My experiences were unique and very exciting. 2. In particular, what made you want to write about your adventures in Ireland? I would spend hours telling new acquaintances about my adventures. They were intrigued. I imagined if these few people I knew were so excited by my stories, perhaps others would also be interested in hearing them. As I travelled back and forth to work in the city of Toronto, I saw that people read books to pass the time. On one journey the idea hit me that I could put my thoughts on paper andtransfer my unique story into a format that would give people the opportunity to read it. 3. How did you decide what aspects of your adventure to concentrate on? I first wanted to write about everything. It was difficult to focus on only a few aspects of my experiences in Ireland. After rambling and typing copies pages of anecdotes, I presented them to one or two courageous well wishers. I had to reorganize my thoughts and focus on a few themes. I read an online article about creative writing using themes. I also employed the expert editing skills of Derbhile Graham to help me focus. I decided on a few main themes: my business and entrepreneurial adventures, a quest for true love, and stories about my child. 4. How easy or difficult did you find it to write the book? This book was easy to write. It was my own story and I had so many experiences which seemed to remain in my mind. Fiction may have been more difficult for me than writing my own story. 5. How did you handle the issue of writing about real people, often a sensitive topic for memoir writers? I decided to change most of the names of the characters in the book, in case the story would offend actual individuals. The truth offends so many who may have done something wrong would not want their life displayed to the public. Since I was completely truthful in my interpretation of people’s actions to me or to others, I knew I would not be able to please anyone with this publication. I just focused on the interesting aspects of human nature. Many people want to know about these topics but the average writer want not dare address them. 6. What made you decide on CreateSpace as a publishing platform? A friend in Toronto had used CreateSpace to publish her motivational book and recommended this platform. It was very cost effective and provided all the tools necessary to make a high quality book. They provide many book formats for printing, free artwork, free ISBN numbers, and very reasonable printing options. One can print anywhere from one book to thousands. Authors get a reasonable discount when ordering print copies. The turn-around time to receive proofs and prints is rapid. 7. What strategy are you using to promote the book? I started by posting information about the book on a dedicated Facebook page, Twitter, and a YouTube channel. I also put up a simple 5 page website hosted by GoDaddy.com (very reasonable hosting prices with modules for website creation). I have organized many book launches in different cities. I hope to continue with this for the next two years to get the books into as many hands as possible. Of course free media advertising would be the best. Although I have sent out a few press releases locally, so far no one has taken the bait. I had two articles posted in newsletters edited by friends in Toronto. I managed to get onto an Irish radio program in Toronto. Again, I will have to put more energy into courting the press to get coverage of the book. As an unknown author on a shoestring budget, one has to be creative in advertising. Celebrities don’t have any such issues in making an initial splash. 8. The format for your launch was interesting – what inspired you to come up with it? Since I had appeared many times in the Irish media, both print and television, I decided to show some video clips at my book launches. In North America, people are addicted to television. I have copies of several Irish television programs in which I appeared: Capital D, Dun Laoghaire Festival coverage, the Irish Dragon’s Den. These videos help to break the monotony of a reading from a book. I also decided to set up the book launch as an interview session. That way the questions that people always wanted to ask would be answered. They would also lead naturally into a book reading. 9. What are your plans for a follow up? I have started writing the ‘prequel’ to ‘Escape From Eire’. I lived and worked in California for almost 6 years before moving to Ireland. I have many stories to tell about my adventures during this time. I travelled extensively throughout Latin America for work and saw some very interesting places. I believe my interaction with Southern Californians and the Hollywood culture would make interesting reading. This book is not as easy to write as the first since I have to go back in my mind to try to remember old facts. Luckily it was a time when we printed copious photographs. I have photographic memories of many trips, parties, and events. My plan is then to complete the memoir series with a book about moving from Ireland to Canada. The first year in Canada was particularly difficult in settling. It was interesting the way I gravitated to Irish social groups and events out of familiarity and for solace in the lonely year of settling. I met so many other new Irish immigrants who have come here to find fortune only to have their hopes dashed and return to Ireland. I think this story would also be an interesting read. So many stories to tell and so little time! 10. What advice would you give to other writers who want to write about their lives?